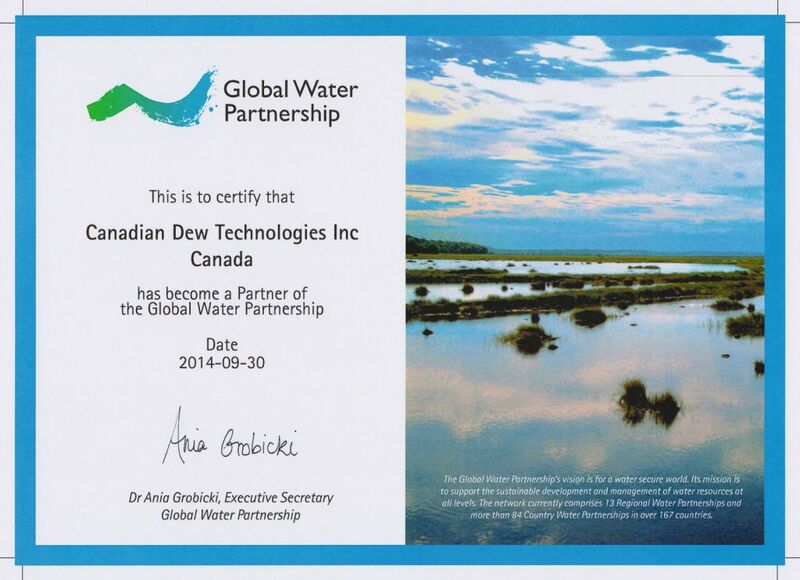 Global Water Partnership - Canadian Dew Technologies Inc.
Women play a central part in the provision, management and safeguarding of water. Water is a public good and has a social and economic value in all its competing uses. Integrated water resources management: the equitable and efficient management and sustainable use of water as an integral part of the ecosystem.